Originally self-released in Australia last year (and re-released through Our Golden Friend/Island Records), the concise 8-track album has a stark, raw intensity to it, recorded live off the floor, at iconic rock'n'roll pub The Tote and while leaning on the band's heroes - the Go-Betweens, the Soft Boys, the Smiths - these are songs that never sound like homage or pastiche hitting that sweet spot between light and dark, employing guitars both angular and jangling. Having previously shared the title track of the album just prior to their breathtaking shows at this year'sGreat Escape Festival, the band have now unveiled the album track Vincent Van Gogh. RVG – Romy Vager (vocals, guitar), Reuben Bloxham (guitar), Angus Belle (bass), Marc Nolte (drums) and known less formally as the Romy Vager Group – deliver a refreshing kind of honesty and intelligence that you don’t hear in your everyday garage band. Their songs, which already sound like classics, traverse through the myth of the tortured artist, isolation and lonliness, falling in love with a computer and the feeling of awaiting your fate on death row and are played with wit, compassion, and commitment, evident in singer Romy's delivery. All of the songs on A Quality of Mercy find Vager trying to move beyond ego, beyond the simple confessional of the songwriter, hoping to find perspective on both world and self. In such, these songs are at once personal and universal, intimate and grang, timely and timeless. And there's eight of them, adding up to a perfectly formed debut that says so much, yet gets out in under half-an-hour. 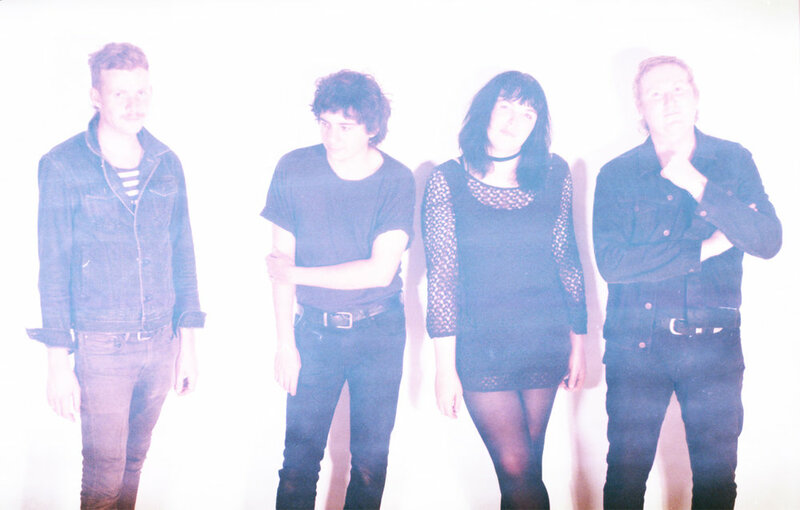 FInally, RVG made their debut in Europe supporting Shame in May of this year and later at this year'sGreat Escape Festival where they played a handful of astonishing performances, and they return to the UK in July.